Every parent knows that arranging booster car seats when you travel with kids can be a reoccurring hassle. They are big and clunky to have to carry along and it can be difficult to fit three booster car seats into a car’s back row. Whether hopping on a plane or just trying to do carpool or have a playdate with an extra child, booster car seats (or lack thereof) can quickly become a source for concern. 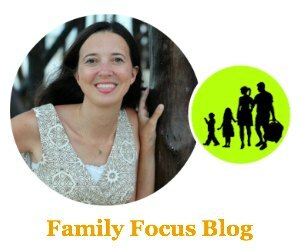 As summer travel season is approaching, many parents need an easier solution. 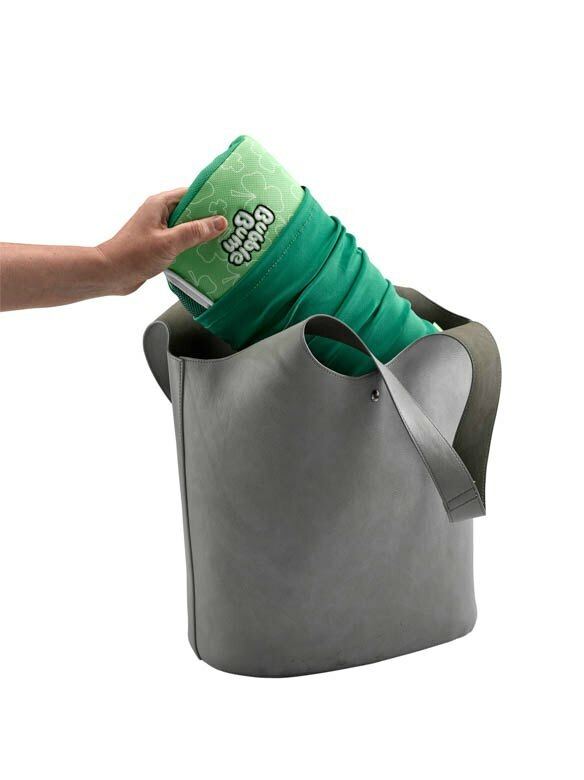 That is why I am happy to partner with BubbleBum– an inflatable travel booster car seat that comes in a small bag for easy transport, blows up easily with just your mouth in under a minute, and it meets booster seat requirements so you can rest assured your child will be comfortable and safe. BubbleBum is the world’s first inflatable car booster seat and it has been around since 2010 with growing popularity. It is such a game changer! Bubblebum car booster seat was originally designed as a vacation solution, to avoid having to rent a booster seat or carry bulky boosters on the airplane or check them as cargo. It has been gaining in popularity as even more uses become apparent- handy for taxi/Uber/Lyft rides and handy to have in a grandparents glovebox so they don’t take up car seat space until they are needed. It is also great for carpooling both as an extra on hand seat or as an easy way to fit three booster car seats across the back seat. So what exactly is a Bubblebum? It is an inflatable travel booster car seat for kids aged 4-11 years, weighing 40-100 lbs. It comes in a handy carry bag and meets booster seat requirements. BubbleBum weighs less than a pound, inflates/deflates in seconds, and easily fits in a large purse or backpack. It is so easy to carry and so easy to use and deflates for compact storage. BubbleBum is the lightest booster car seat on the market making it the most compact, portable car booster seat in the world. It is no wonder it is the winner of multiple awards and honors including the IIHS Best Bet award 6 years in a row, NAPPA and many more. This portable car seat can be blown up by mouth in under a minute. The air filled design provides extra comfort and utilizes memory foam technology to help create stability and structural integrity in the seat. Side side clips correctly position the lap belt in order to help prevent seat belt abdominal injury in the event of a crash while the shoulder belt positioning clip ensures that the vehicle shoulder belt sits across the center of the chest. BubbleBum meets and exceeds all Europe and U.S. safety regulations and booster seat requirements. 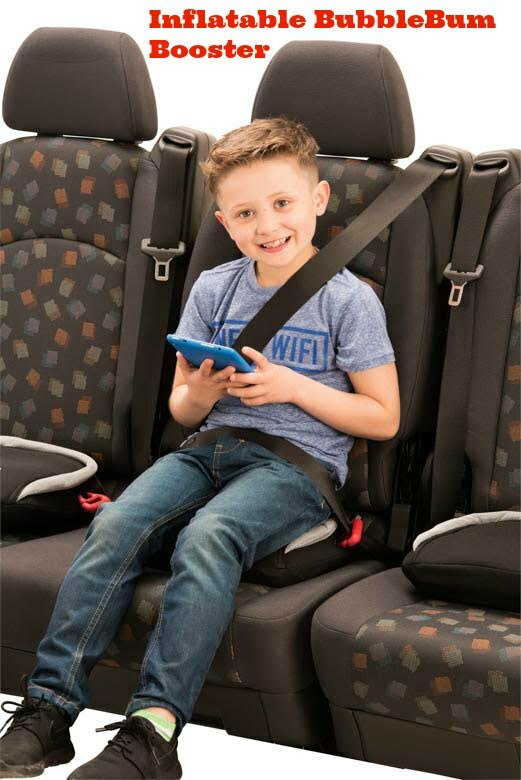 So for use here at home, or for use traveling abroad, BubbleBum car booster seats will help keep your child safer in the car. Choosing to skip on using a car seat is a bad ideas because it can provide life-saving protection in the event of a crash. Kids love staying both safe and comfortable with BubbleBum’s kid-approved, super cool inflatable booster seat. Parents love the fact that BubbleBum makes travel easier and makes it possible to fit three booster car seats across in the back. 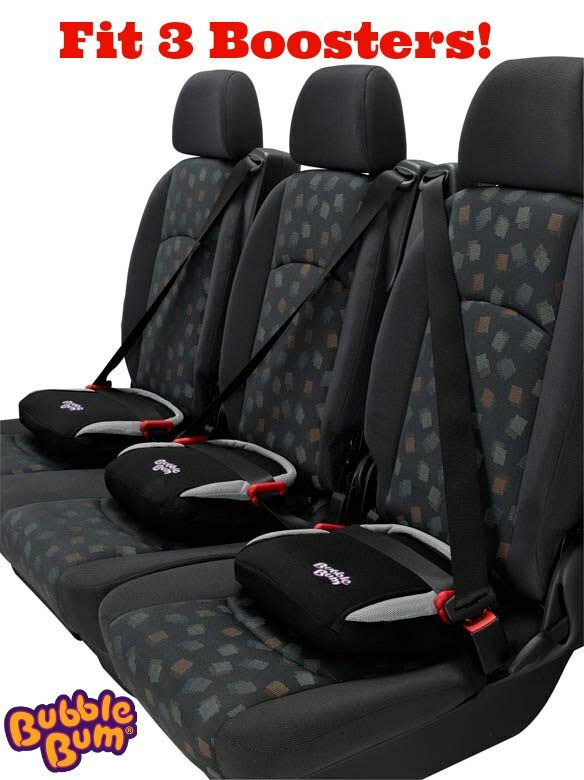 BubbleBum loves ensuring that every child can have a safe and comfortable booster seat on EVERY car ride. Available in pink or black, or new international designs, BubbleBum retails for $29.99. Available bubblebum.co/us and now nationwide at all Target stores. BubbleBum really is a fantastic, clever product that makes things easier for parents. What is your favorite part about the BubbleBum travel booster car seat? so I came to check it out. I’m definitely loving the information. 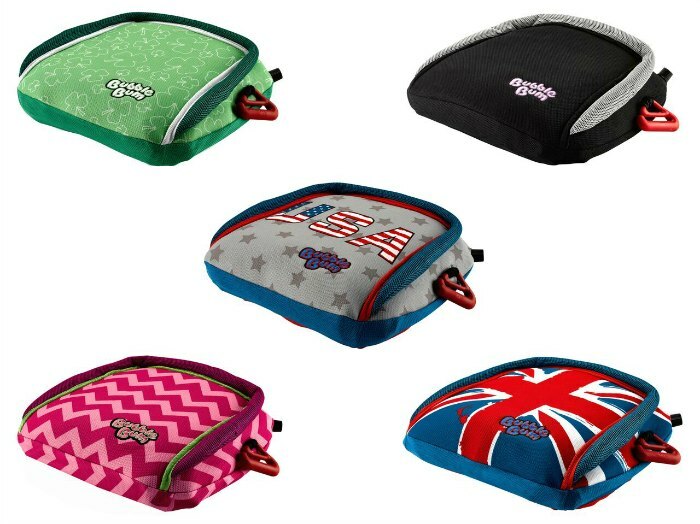 These travel booster seats are going to be perfect for our summer trip. I’m book-marking and will be tweeting this to my followers! This page definitely has all of the information I wanted about having to travel with a booster car seat and didn’t know who to ask.